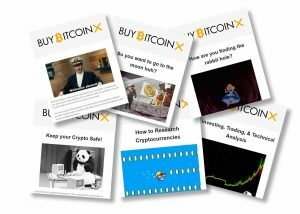 Our favorite Bitcoin & Crypto news sources in one place! Welcome to our news feed area where we aggregate the latest news from all of the best sources on the web for cryptocurrency, Bitcoin, and blockchain related news. This aggregated news feed includes some of the most influential publications in the world of crypto. Bitcoin Ready for a MASSIVE Move!? The ONE Chart You MUST See! BTC to $500k?! IOTA turns its focus to North America. BAT – 100 Daily Moving Average about to cross 200 moving average. Bullish.